CANMORE — During the Paralympic Games in Pyeongchang, South Korea, Brain McKeever crossed the finish line in the 20-kilometre free visually impaired cross-country skiing race, securing a gold medal and becoming the most decorated Canadian Paralympian on March 12. Though achieving that title was not something on McKeever’s mind coming into the Games. The first time he heard the title was while going through the press zone after his race. “They were like, ‘So how do you feel about being officially Canada’s most decorated Paralympian?’ And I said, ‘Am I?’” McKeever recalls in an interview with Nikkei Voice. McKeever, a Sansei Japanese Canadian, surpassed alpine skier Lana Spreeman‘s record of 13 medals, from 1980 to ’94. McKeever now has 17 medals, 13 of which are gold, between five Paralympic Games from Salt Lake City in 2002 to Pyeongchang in 2018. Pyeongchang, Korea – Brian McKeever has been selected to carry the flag in the opening ceremony for Team Canada at the 2018 Paralympic Games in PyeongChang. Photo Scott Grant/Canadian Paralympic Committee. The 38 year old’s love for skiing began at a young age, putting on his first pair of skis when he was two or three years old. McKeever’s brother, Robin, also an Olympian, started a successful competitive cross-country skiing career at an early age and is an 11-time national champion. McKeever’s inspiration to become a competitive skier from watching his older brother. McKeever’s drive to go to the Olympics began while watching the Calgary Winter Games in 1988. McKeever was in the third grade at the time, and went to see cross-country races in Canmore, Alta., where was born and raised. His family was so invested, they finally fixed their broken TV so they could keep up with the Games, McKeever jokes. Robin, a junior racer at the time, got to pre-run the Olympic track in Canmore to make sure it was clear. All these things got McKeever excited about the Games, and 10 years later, he was in Nagano, Japan watching his brother compete. 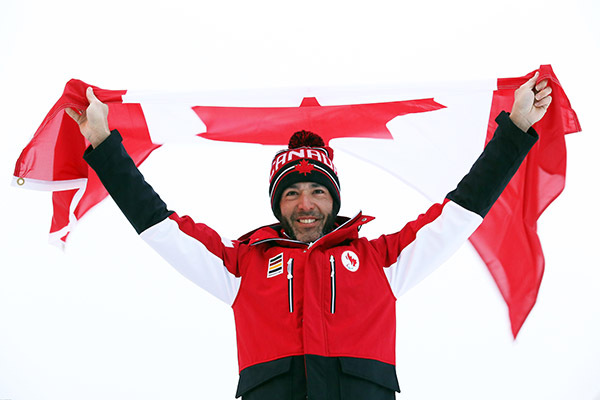 McKeever represented Canada in international cross-country competitions around the world during his early career, including the Junior World Ski Championships, in Switzerland in 1998 and the International Ski Federation (FIS) cross-country skiing competition in Duntroon, Ont., finishing in the top 10 in 1999. 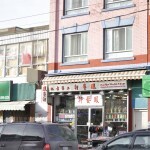 In 1998, McKeever started to notice problems with his eyesight. He says he struggled to read billboards, addresses and road signs. McKeever knew he had Stargardt disease, a genetic macular degeneration, where cells in the central part of the retina die, leading to the loss of sight in the centre of the eye. It is genetic, and McKeever’s father, William, as well as his aunt, both have it. In 1998 he was diagnosed with the disease. “There’s always a knee-jerk reaction that things are going to change, and how am I going to deal with this, I’m not going to be a skier anymore,” says McKeever. McKeever continued to race in able-bodied competitions, including finishing fourth in an international competition in his hometown, Canmore, in March 2000. 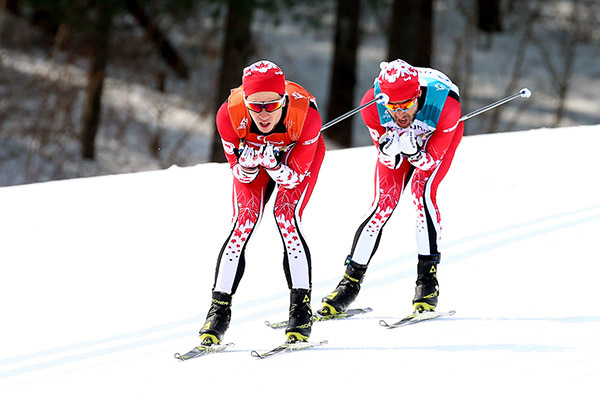 In 2001, legally blind, McKeever joined Canada’s Para-Nordic Cross-Country Ski Team. Since then he has competed in five Paralympic Games with the team, winning 17 medals. In 2017, he was the top visually impaired cross-country skier in the world and received a Meritorious Service Medal from the Governor General of Canada in 2016. 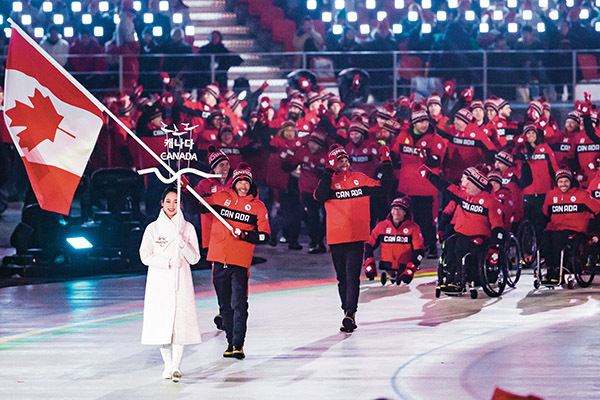 PyeongChang, South Korea – Flag bearer Brian McKeever leads Team Canada into the Paralympic Stadium during the opening ceremony of the 2018 Winter Paralympic Games in Pyeongchang, Korea. Photo: Dave Holland/Canadian Paralympic Committee. 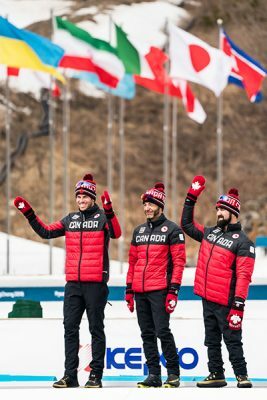 At the Pyeongchang Games, McKeever was the flagbearer for Canada. It was an exciting moment, and the first time McKeever was able to attend the opening ceremonies out of his five games. Usually his races are on the first day of Games, and he opts to rest and prepare for his race, but this time his races were a few days into the Games, so he could enjoy the ceremonies, he explains. Carrying in the flag was a proud moment, says McKeever, and a responsibility he took seriously, representing his country and fellow athletes. But also he hoped there were kids watching, getting excited and sparking a fire to get involved in sports the way he did watching his first Games. Skiing with Stargardt disease McKeever explains is like having sight in the shape of a donut. He cannot see anything in the middle, it’s just blank, but his peripheral vision is still a hundred per cent. It works for him while skiing, he sees the main track and can ski on his own without a guide, but is faster with one. But the disease is degenerative, and he will continue to lose his sight, McKeever explains, making it harder to keep balance or see the change in snow conditions or ice in the snow. While competing, McKeever skis with a guide in front of him, who can see the changing snow conditions and choose the best path to travel. “There’s a lot of trust that goes on in there, a lot of trust that my guides will make the right decision when they need to, and they are also trusting that I will follow what they do,” McKeever explains. Finding guides can be a challenge, for many reasons, explains McKeever. He needs to find a person he can trust and communicate with easily, but also someone who can keep up with him. McKeever skied with Erik Carleton for four years, a hard-working skier and friend he competed with early in his career. He also skied with his brother, Robin as a guide. The two skied together at the Vancouver Games in 2010, where they won Canada’s first Paralympic gold on Canadian soil. 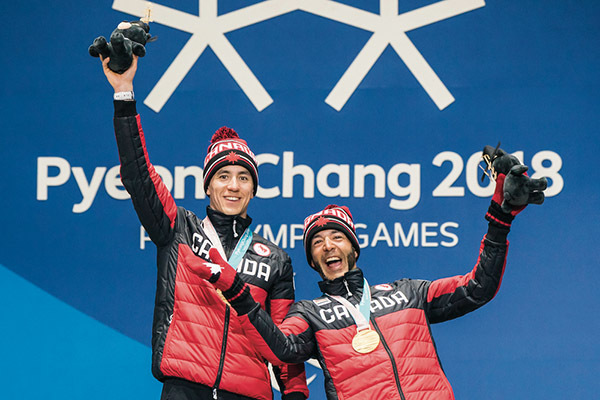 Pyeongchang, Korea – Brian McKeever wins gold in the cross country 20km visually impaired race with guide Graham Nishikawa during the 2018 Paralympic Games in PyeongChang. Photo Scott Grant/Canadian Paralympic Committee. Robin became the Para-Nordic head coach in November 2010, so McKeever starting working with Graham Nishikawa as a guide, skiing together at the Sochi Games in 2014. The two were training partners for several years in the past, so working together brought them close, he says. 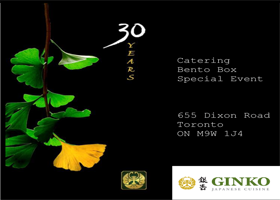 Both athletes have Japanese Canadian grandparents, but neither speak Japanese, says McKeever. 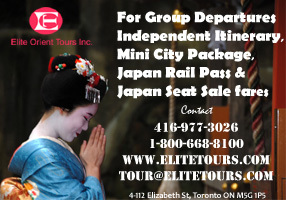 Learning about their Japanese culture together while competing in Japan was an interesting experience that they shared with the rest of their team. Reflecting on Pyeongchang, and his new title as Canada’s most decorated Paralympian is something McKeever is very proud of, but not why he competes. More than medals and titles, what makes McKeever really proud is how long he has been able to compete at this level, despite injuries, time and age. He’s seen his team grow and the Paralympics evolve over the 16 years he’s been a part of them. As well, McKeever hopes his story can reach more people with disabilities, and teach them about options and opportunities to experience high level sports. Thank you for the story on Brian McKeever. We really appreciate it. We were “cheering him on” at the Paralympics and were able to greet him at the Calgary Airport.